What's the best way to protect your gear? Just how important is power protection? Crutchfield's J Stoll found out first-hand. Read what happened to his home. Plugging your audio and video gear into unprotected power outlets is risky. Lightning is the obvious danger. However, smaller power surges, spikes, and sags occur daily. They, too, can damage your gear. In this guide, I'll help you choose the best surge protector for your setup or situation. Inexpensive power strips (left) offer little or no protection. Genuine surge protectors (right) include heavy-duty parts that absorb or derail excess voltage. Long block of protected outlets. Lets you connect several components to one AC outlet. 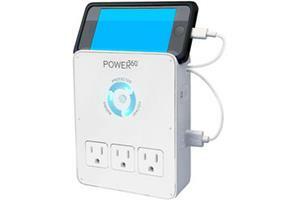 Space-saving surge protector that sits over an existing wall outlet. Provides protection in tight spots where you can't fit a strip. 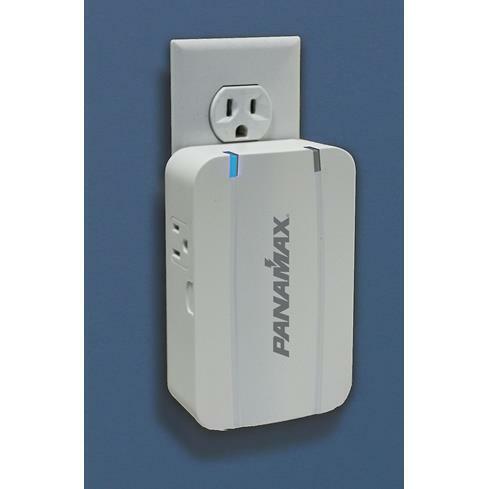 Replaces a regular wall outlet and adds surge protection or suppression. Installation by a licensed electrician recommended. Larger units that provide a higher level of protection. 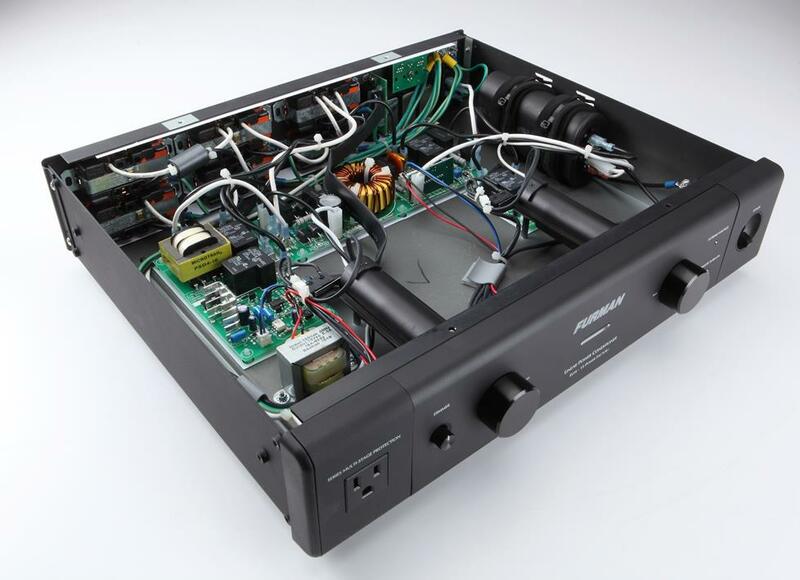 Many offer power filtration for optimal audio and video performance. 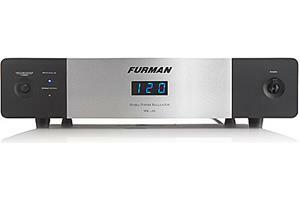 You get a higher level of protection from power protection components like the solidly-constructed Furman Elite-15 PFi. 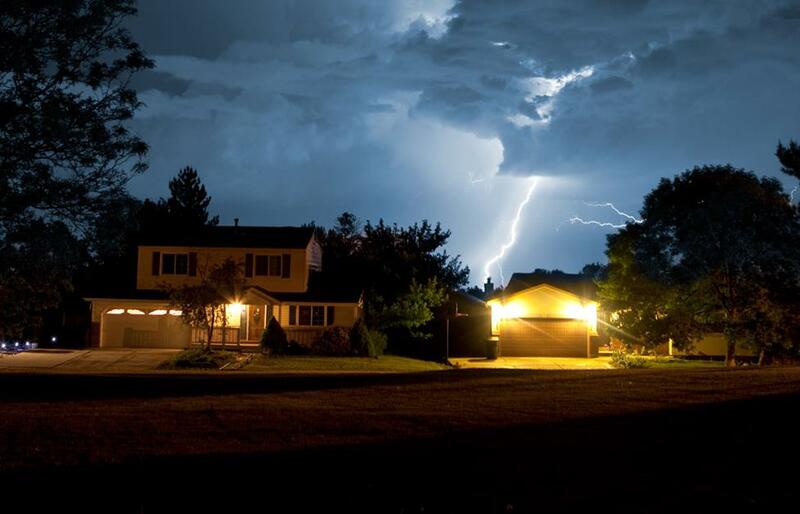 You may never suffer the gut-punch of a catastrophic electrical spike or surge. But your unprotected gear is susceptible to more gradual wear and tear. "Dirty power" comes from electricity's long trek through our power grid to your home or office. Our aging power grid was built for keeping the lights on — not delivering pristine sound. Today's TV and stereo equipment needs steady, clean power to perform its best. 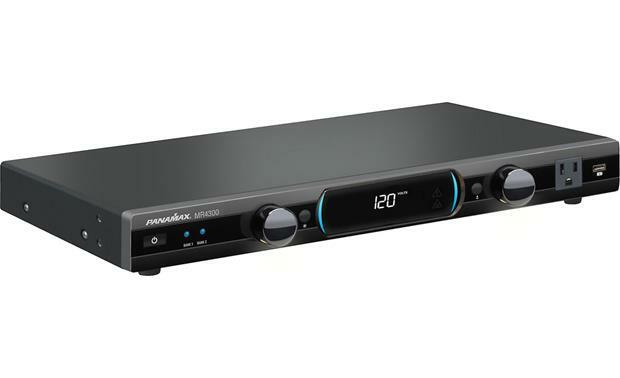 Just think of all the sophisticated circuitry and processing inside the latest 4K TVs or Dolby Atmos receivers. For the best picture and sound, you’ll want power protection that not only diverts harmful spikes and surges, but also cleans up dirty power. 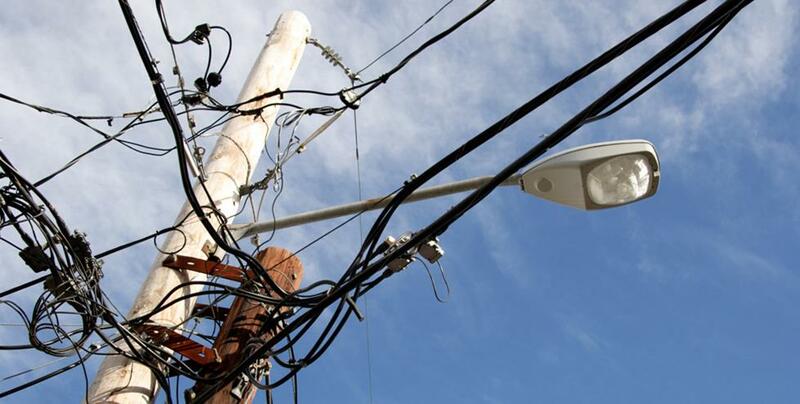 Power line conditioners help drown out Electromagnetic Interference (EMI) and Radio Frequency Interference (RFI). 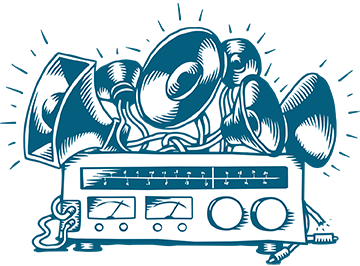 EMI and RFI can seep into your system and cause havoc. You may find yourself rebooting your gear more often, or notice a drop in performance. EMI and RFI can even shorten the lifespan of your gear. These readings from Panamax show how erratic and messy AC line noise can get (left), and how a power line conditioner can clean things up(right). RFI results from radio waves generated by radio stations, cell phone towers, and other places. 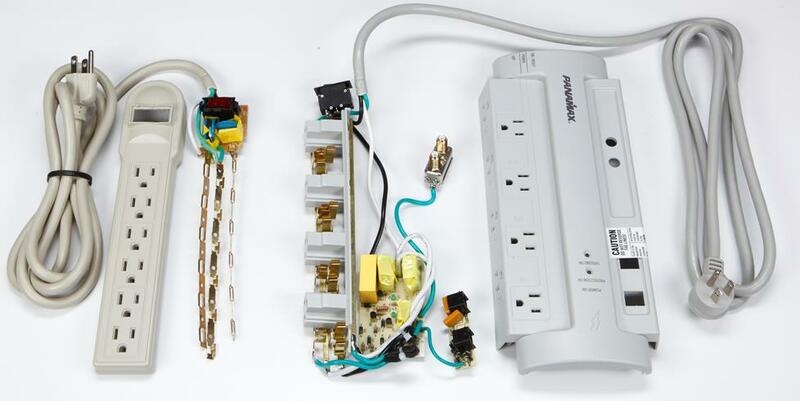 Your home's electrical circuitry can act as a crude antenna that sends RF signals through your system's power cords and into your gear — sometimes heard as clicks and pops. EMI originates from items like refrigerators, vacuum cleaners, or washing machine and add a low hum to your otherwise pure sound. Ever notice the lights flicker when you cut on a hair dryer? Imagine what that is doing to your sensitive electronics. You’ve probably invested a lot into your gear. If the idea is to maximize the sound and/or video performance, you simply don't want to skimp when it comes to line conditioning. 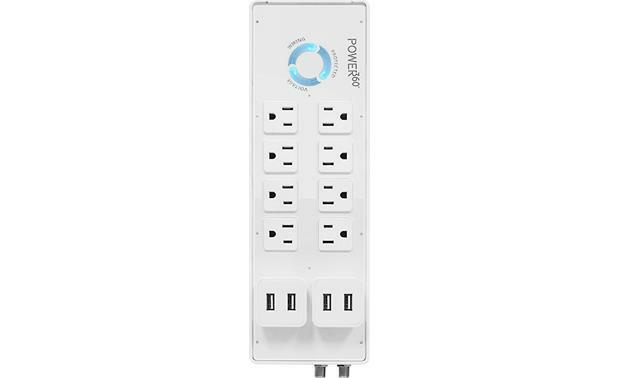 For this system, you need a power protection unit with at least eight outlets. It’s good idea to have a few more, just in case you add something to your system later on. 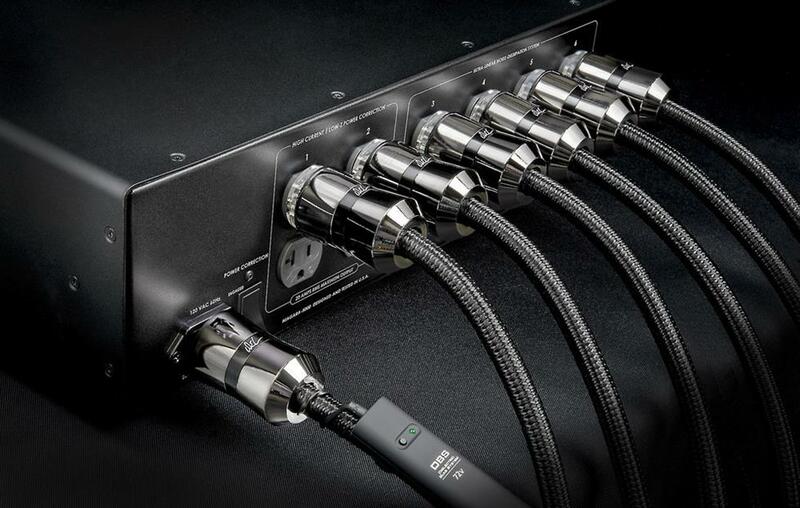 The AudioQuest Niagara 5000 includes 12 hospital-grade AC outlets, divided into six isolated banks to prevent noise created by one component from affecting other gear. Have you blocked all surge pathways? Power surges can travel through your cable or satellite TV lines and your home network cables, too. 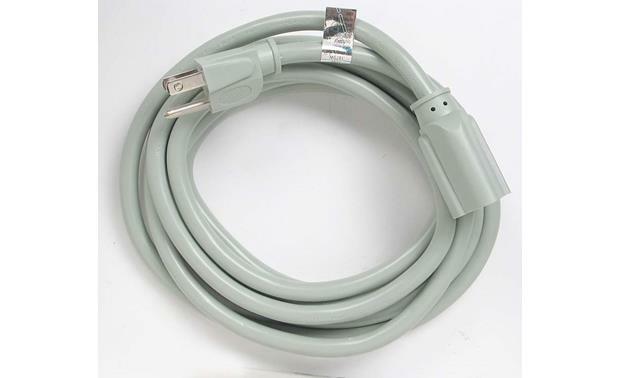 Look for surge protectors with protected inputs for these types of connections. Don’t forget that you’ll need extra coaxial and Ethernet cables to complete the hookup. Are your modem and Wi-Fi® router protected? 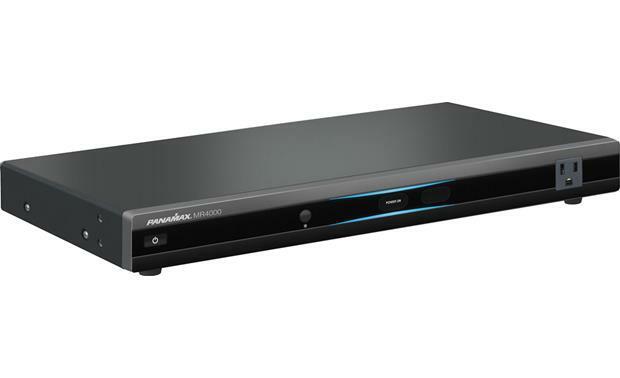 More and more modern appliances and A/V gear rely on your network. For everything from Smart TVs to home automation, you need a solid Wi-Fi and internet infrastructure. But what happens when a power surge takes out your modem or router? Even if you rent them from your internet provider, you still have to wait on a service call or parts to ship. Meanwhile, you have no network — no working from home. No music through your Sonos® system. No binge-watching shows on Netflix®. If you keep your modem and router safe, you can restore your internet — and your life — much faster. Subwoofers are often placed in a separate area from the rest of your components. Rather than leave them hanging out to dry, you’ll want to make sure you have an extra surge protector. 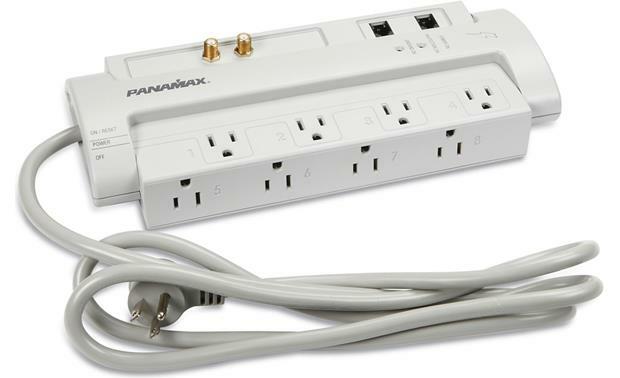 You can use a traditional strip-style surge protector, but if you don’t need several outlets for other gear, use a space-saving surge protector like the Panamax MD2 (Pictured below). 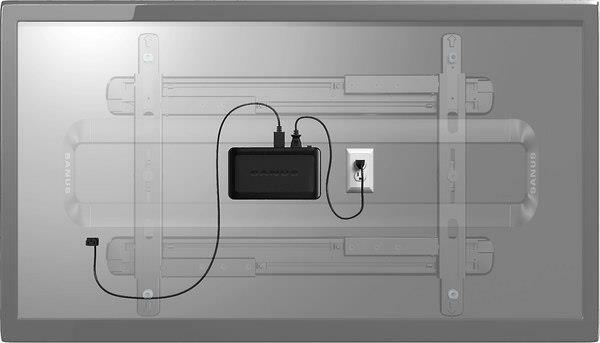 In-wall or on-wall surge protectors work best for wall-mounted televisions. It's a matter of space, but also aesthetics. You want your TV to look clean and uncluttered on your wall. 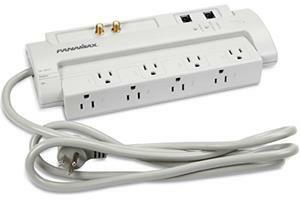 Some space-saving surge protectors, like the Sanus SA-206, are designed to be hidden behind wall-mounted TVs. Do you use a Projector? 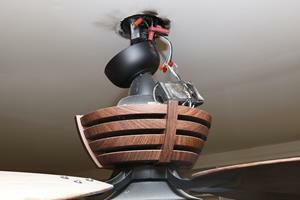 A ceiling-mounted projector will need its own dedicated surge protector. In-wall/in-ceiling surge protectors work best for this setup. Let's face it — we all live on our phones these days. It would be a disaster if something happened to it. 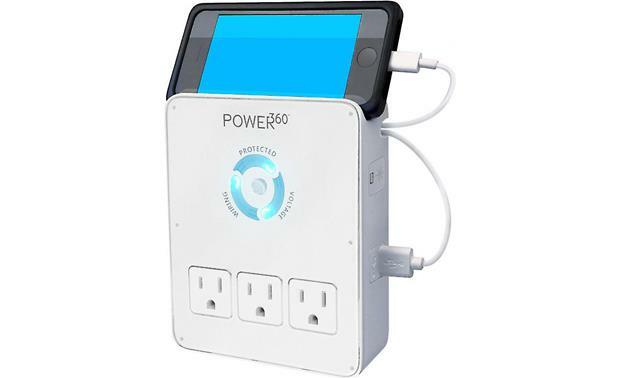 Get a surge protector with built-in USB connections to protect your device as it charges. 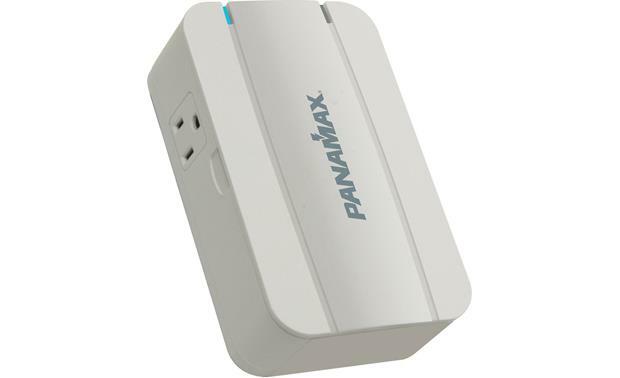 The Panamax Power360 P360 cradles and safely charges your phone, takes up little space, and offers protected AC power outlets — I use two at my house. Traditional desktop computers often don't have back-up power. 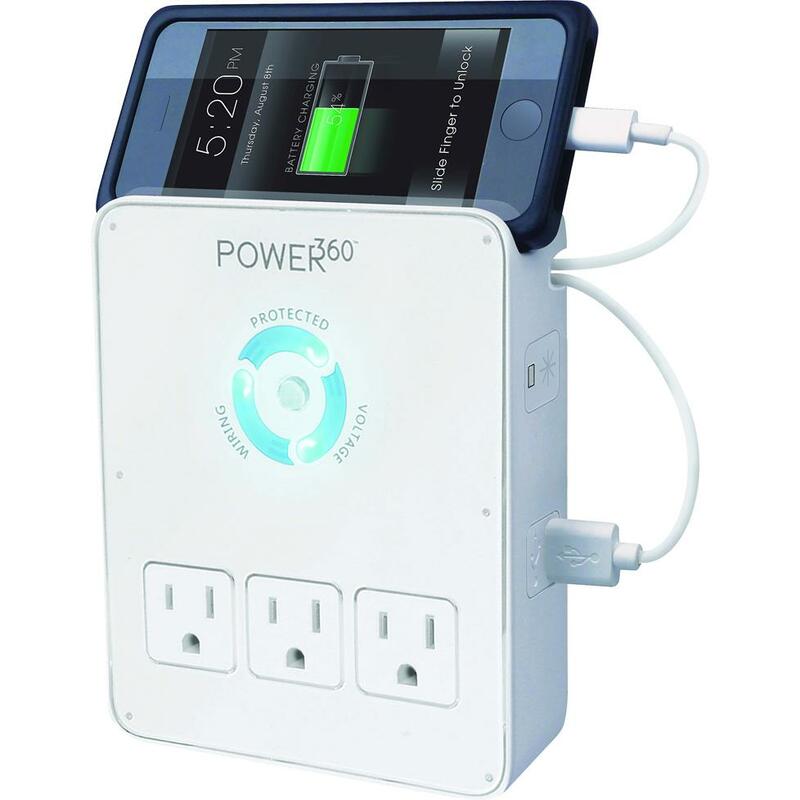 A surge protector with an Uninterruptible Power Supply (UPS) keeps your computer going long enough for you to shut it down properly. You also buy some time to save any unfinished work. Do you have Sonos or other wireless speakers? Not every room or home is built to handle a large sound system. Single wireless home speakers are popular because of their convenience and size. A wireless speaker should always plug in to a protected outlet, whether you keep it in one place, or move it from room to room. Keep that in mind if you have wireless surround sound speakers. Outdoor speakers spend their days in the elements. It's important to not only keep them protected, but also your gear inside that plugs into the same electrical system. 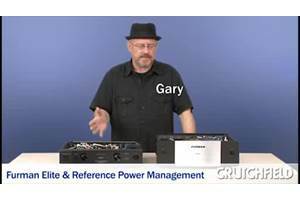 Have questions about how to choose the right power protection unit? Our expert Advisors know the gear inside and out. Your Advisor can send specific Crutchfield pages to your screen, saving you a lot of browsing time. You'll get a shopping cart loaded up with everything you need. Why does an automatic voltage regulator push these devices near 1K when commercial AVR are around 350? What about a whole house surge protector located at the circuit box. Would this be adequate protection? Hey Rich, I'll check with our tech guys on that. 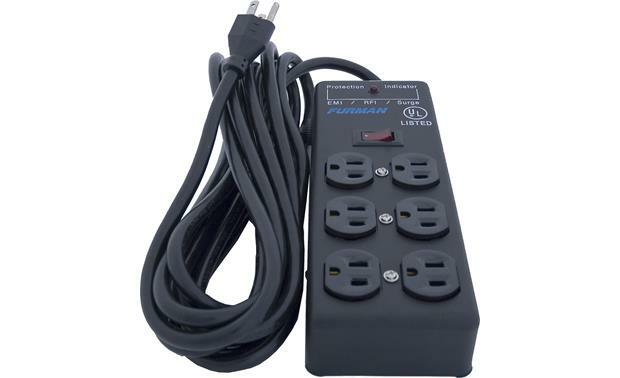 Do you mind sharing what type of surge protector you have? I recently purchased a smart surge protector with the TV as the master component. 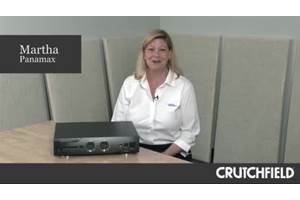 Do you know of a reason why a receiver shouldn't be in an outlet controlled by the master component? Great point, Franc. They should all be protected. Your notice of the network modem as a vulnerability is absolutely valid and often overlooked. I lost 2 expensive Netgear routers, an Onkyo receiver, and sustained damage to my TV because I didn't have the modem protected. But, you failed to mention protecting the phone line, or if you did, I missed it. In my case, lightning strike penetrated through the DSL/phone line. It's ALL protected now. Jacalyn, It depends on how your gear is connected. Surges will take the path of least resistance. You want to make sure all connections are protected. Does a power surge from a storm go through the satellite box to the tv or directly to the tv?